K-10 likes to tell himself that he's a free and independent dog. But as his adventures bring him into contact with tiny but big-hearted (and hilarious) Peppy, wise old Tucker, and tart-tongued Pearl, he begins to wonder if he might want to have a home after all. 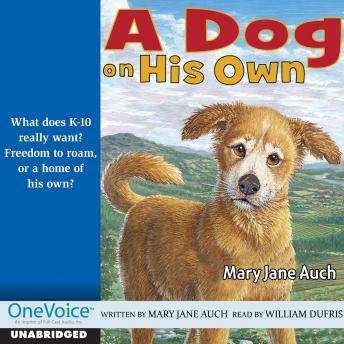 Filled with loveable canine characters, this ALA Notable Recording is both laugh-out-loud funny and deeply touching.